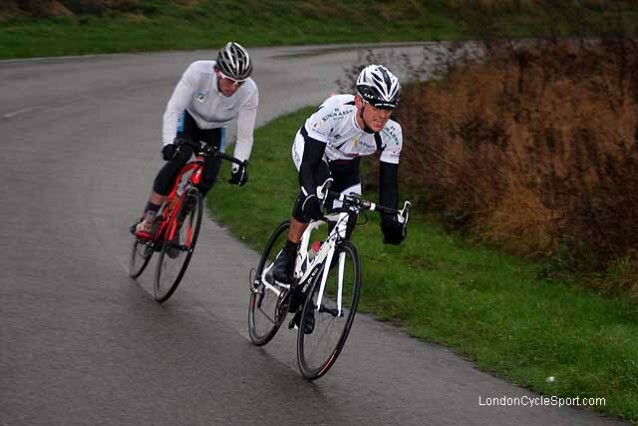 Following a crash - marred start to his autumn racing last week, Neil had another go at Hillingdon on Saturday. One of the wettest days of the year, it didn't seem ideal, but he gritted his teeth [in fact there was a lot of grit between them by the end] and gave it a go. Breaking away after 10 mins, he formed a strong 2up with Jozef Metelka of Zappi's Cycling Team which lapped the field at least twice. After 50 minutes away, Neil had little left for the sprint. He'll try not to be so nice next time.